Set of six 3x3 enclosed-gear, press-in bushing style, Vintage Style guitar tuning keys for 6 String Guitars. 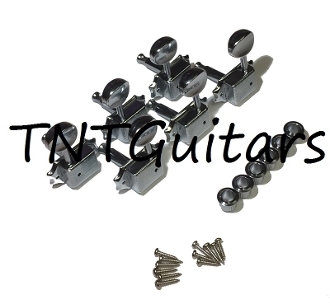 These tuners use two set screws per tuner for enhanced stability. This 3 x 3 set works for LP style headstocks.